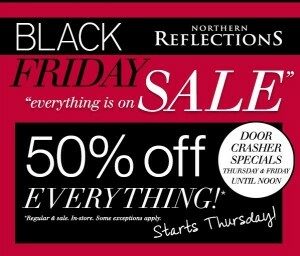 Northern Reflections Canada Black Thursday & Friday Deals: Save 50% OFF Almost Everything + In-Store Door Crashers! Hit the Black Friday jackpot at Northern Reflections Canada. Find holiday gift ideas and shop the collection of winter scarves, Christmas sweaters, festive home decor and head-to-toe outfits for every holiday event. Almost everything is 50% OFF in-store and online on November 24th & 25th, 2016. Discover the perfect, unique gift for every woman on your list. Everything we carry is designed exclusively in Canada for women, by women. or FREE SHIPPING to any Northern Reflections location. Click here to find a Northern Reflections near you. Click here to shop online at Northern Reflections Canada! Northern Reflections like to speak volumes and their Black Friday Canada 2014 sale does just that. 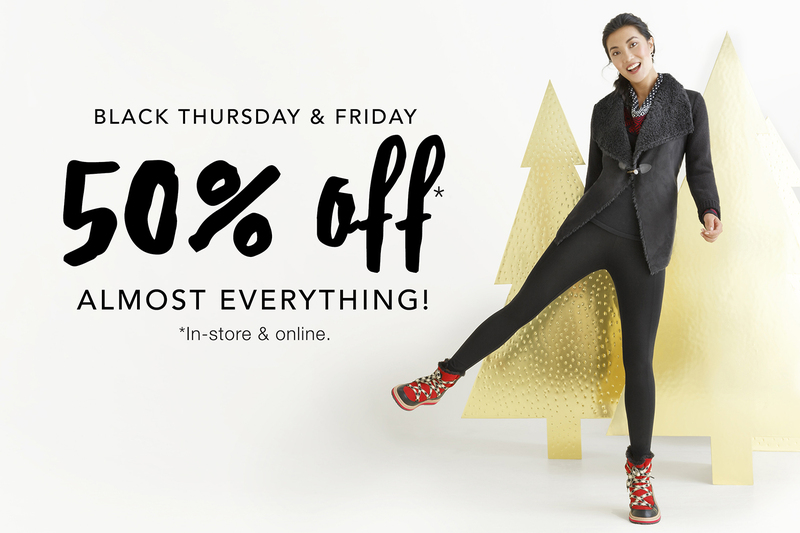 Rather than having select items on sale, they have huge and hot Black Friday Canada 2014 offers in all of their Northern Reflections stores for you to enjoy. 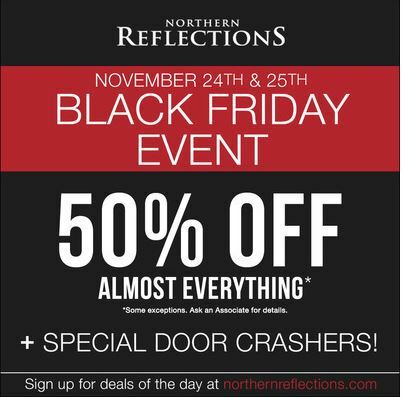 Starting Thursday November 27th,2014 you can shop at Northern Reflections to enjoy their Black Friday Canada 2014 sales and deals. This promotion will allow you to save 50% off of everything! Yes, this Black Friday Canada 2014 offer at Northern Reflections includes both regular priced merchandise as well as sales priced merchandise. If that alone has not knocked your socks off, they will also be having some hot Black Friday Canada 2014 Door Crasher offers! These offers are not announced yet but we do know that you will have to shop in stores on November 27th and Black Friday November 28th, 2014 before noon to enjoy the Door Crasher sales and deals for Black Friday Canada 2014. Click here to check out the Northern Reflections Black Friday Canada 2014 Sales and Deals!